San Francisco Planning has launched an interactive web feature, Symbium’s BUILD for Business, that allows users to easily determine whether their proposed business is permitted in a specified location, search for all locations it is permitted in San Francisco under applicable zoning regulations, and learn more about required steps in the application process. To accurately determine whether a business is permitted, users are guided through an interactive dialogue regarding details about their business, including specific location, type of business, which floor the business is located, and whether the business is considered formula retail. Users will then be informed, through interactive map visualizations, whether the business is permitted, if a Conditional Use permit is required, if there is mandatory Discretionary Review, or if it is simply not permitted. Users who do not have a specific location in mind can instantly visualize the areas, throughout San Francisco, where their business is permitted. The tool also provides clear definitions of relevant terms and detailed information on required process and applicable programs. Click on the image to learn more about San Francisco's advocacy efforts. 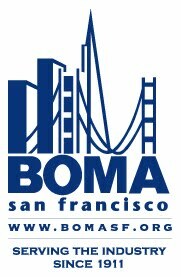 Welcome to BOMA San Francisco's Government Affairs & News for Commercial Real Estate Professionals! Here, you will find up-to-the-minute updates on our dealings with public officials at City Hall and government agencies, as well as information germane to the commercial real estate industry. Stay tuned! Subscribe to BOMA San Francisco Advocacy Updates via email. Or, click on the icon below to subscribe, via a feed reader, to BOMA San Francisco Advocacy Updates.